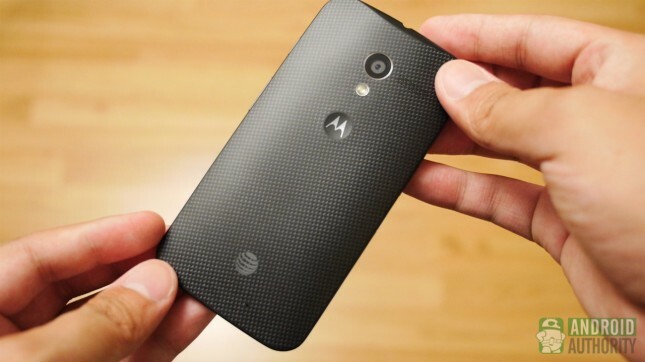 Earlier this week, Verizon became the first carrier to see Android 4.4 KitKat on the Moto X, with T-Mobile following on Thursday. Now it’s AT&T’s turn to get in on the action! Considering AT&T had already started its soaktest a few days ago, the AT&T update certainly comes as no major surprise. Like the Verizon and T-mobile upgrade, the new firmware includes Android 4.4 KitKat with a few minor Moto-specific additions including touchless control improvements and an improved touch-to-focus mode on its camera. Improved user interface with Android 4.4 KitKat: The latest version of Android includes enhancements such as restyled status and navigation bars, a new full-screen mode, color emoji support, improved closed captioning support, stronger security, and smarter power use. Focus and exposure: The “touch to focus” option has been enhanced with a new circular on-screen control that can be dragged by your finger around the viewfinder to adjust a photo’s focus and exposure. Gallery app: New photo editing options are now available in the Gallery app including new filter effects, draw on your photos, advanced cropping, and adjustments for color, exposure, contrast and more. Now that Verizon, T-Mobile and AT&T all have made the jump to KitKat for the Moto X, all that’s left is for Sprint and U.S. Cellular to reveal their plans. Although we can’t say for sure when this will happen, we imagine that it probably won’t be too much longer of a wait — at least judging by the way things went with the other carriers. For those that have already received the KitKat update for the Moto X, what do you think so far? In general, how has your experience with the handset been?